Art.1. 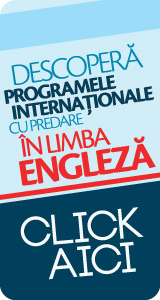 (1) The Romanian-American University, higher education institution, private legal entity of public utility, part of the national education system, accredited by law, organizes bachelor programs in the fields of: Management, Marketing, Economy and International Trade, Finance, Accounting, Business Administration, Cybernetics, Statistics and Economic IT, Law, Kinetotherapy, Physical Education and Sports. The document "Student Regulations Book" is available in either electronic or printed form, at the university's library.